It began on New Year's Eve. The sickness came on suddenly, and spread quickly. The fear spread even faster. Within weeks, everything people counted on began to fail them. The electrical grid sputtered; law and government collapsed—and more than half of the world's population was decimated. Where there had been order, there was now chaos. And as the power of science and technology receded, magic rose up in its place. Some of it is good, like the witchcraft worked by Lana Bingham, practicing in the loft apartment she shares with her lover, Max. Some of it is unimaginably evil, and it can lurk anywhere, around a corner, in fetid tunnels beneath the river—or in the ones you know and love the most. 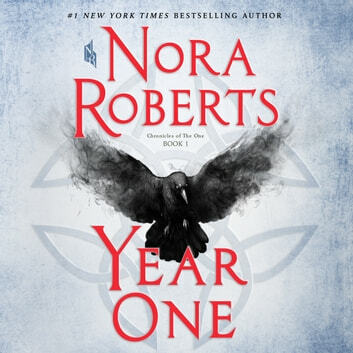 First time with a Nora Roberts novel and I liked her writing. Liked the characters but the seemed a little too good or too bad would have liked a little grey in between. One of the first books I've read/listened to in a while that pulled me right in and kept me on the edge of my seat. Narrator of audiobook was very talented and added to the story. A powerful story, told well. The mixture of humanity and magic, (good and bad), is well balanced and carries the reader along inexorably to the end and the next beginning.